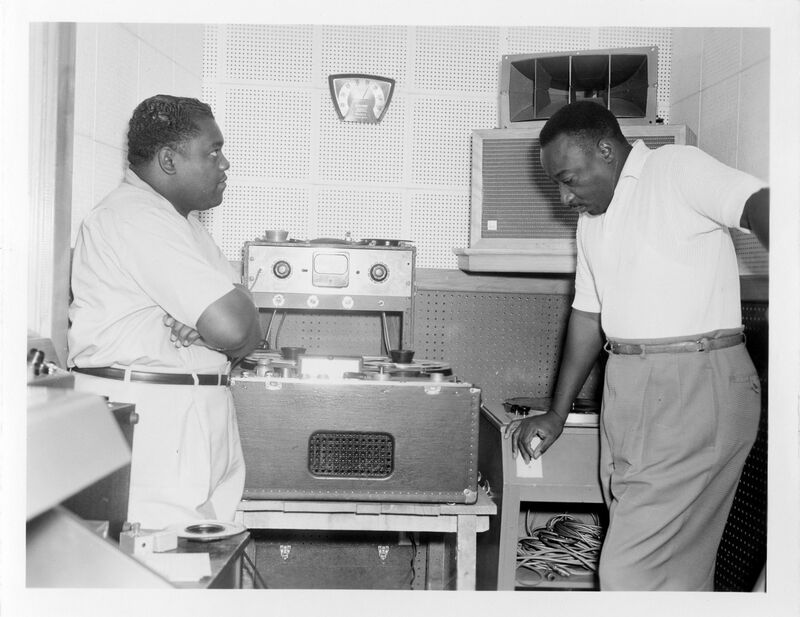 Dave Bartholomew (b. Dec. 14, 1920) is the longtime collaborator of Fats Domino, who co-wrote and produced most of Domino’s hits. They both grew up in New Orleans and remain there, and friends, to this day. As a child, Bartholomew learned to play trumpet from Peter Davis, who also taught Louis Armstrong to play. Dave Bartholomew was inducted into the Rock and Roll Hall of Fame in 1991.